We have all heard horror stories from homeowners that hire contractors to finish up projects around the house or to do minor repairs. In some cases, they are left with unfinished cabinets, a partially built backyard deck, bare cement floors, unpainted walls and a hole in their bank accounts. No one sets out to hire a “bad” contractor yet homeowners in the midst of remodeling, building and renovations do it every day. At Premiere, we can help locate the company owners or the individuals responsible who fraudulently took your money and ran. Don’t be left out in the cold and out of pocket! Be sure to document the unfinished work with photographs and mark down the Company information, worker’s names, note any sub-contractor companies, website information and their contact phone numbers. Have a copy of your contract handy before you speak to a lawyer. We recommend that you vet a contractor before you hire anyone to start the work. 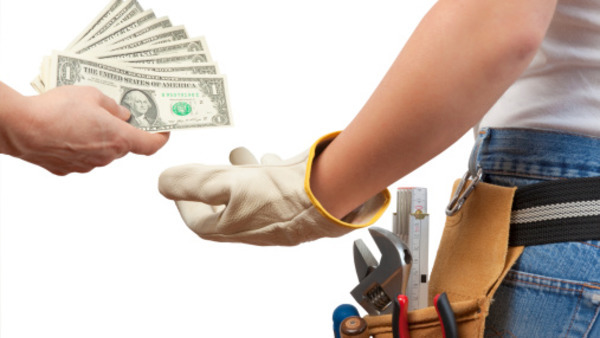 Choosing a contractor can be a great experience if all goes well but you run the risk that you’ve hired a con-artist who won’t complete the job, block your calls or worse off, not refund you any of your money. Always check with family members and friends for any referrals to contractors who routinely meet deadlines, budgets, expectations and provincial code requirements. Call the company direct! Speak to the owner and inquire about the contractor, pricing, time expectations and search online for company project photos. We strongly suggest that you READ the online reviews. Also check the Better Business Bureau for any company information available regarding incomplete jobs that outline specific disputes with customers and/or sub-contractors. Ensure you pick 3-4 different companies and have them attend your house. A contractor should be able to answer all your questions and in a manner that would put you at ease. It is crucial to pick someone you are comfortable with as they will be spending weeks or months inside your home. Also make sure you see their license and ask if they are bonded and insured. Having a license and insurance demonstrates a contractor’s credibility and knowledge. Never be afraid or embarrassed to ask for a copy of their insurance. Choose a contractor who specializes in the project type you need done. Make sure all the bids from the different companies have the same set of plans, specifications and materials outlined. The contract should always cover costs, brands of items being installed, approximate start and finish dates and the complete set of drawings being used. A contract is really an expectation setting, right down to what color the installed tiles will be. If the customer and the client agree on everything upfront, then there are no surprises. Never allow a company to start a job without a signed contact. Payment schedules can also speak to a contractor’s work ethic or financial status. If they want half the bid up-front, they may have financial problems or be worried that you won’t pay the balance after you’ve seen their work. With respect to larger projects, a contractor will typically ask for 10% at the time you sign the contract. They will usually ask for three 25% increments throughout the duration of the project and the final 15% once the job is completed. A major red flag would be a “contractor” who is willing to take all your money upfront, start a job and not have a written contract. A respectable company will always provide a verbal and written contract upon meeting with you and assessing the job. NEVER pay anyone the full amount upfront! Speak to a Private Investigator when your contractor up and disappears before the work is finished. We can help in locating the individual responsible, saving you time and additional money so that your lawyer can issue the Statement of Claim efficiently.